Assorted Sushi Set $20 is nicely displayed. Bite Sized Tofu should be one of the signature items. 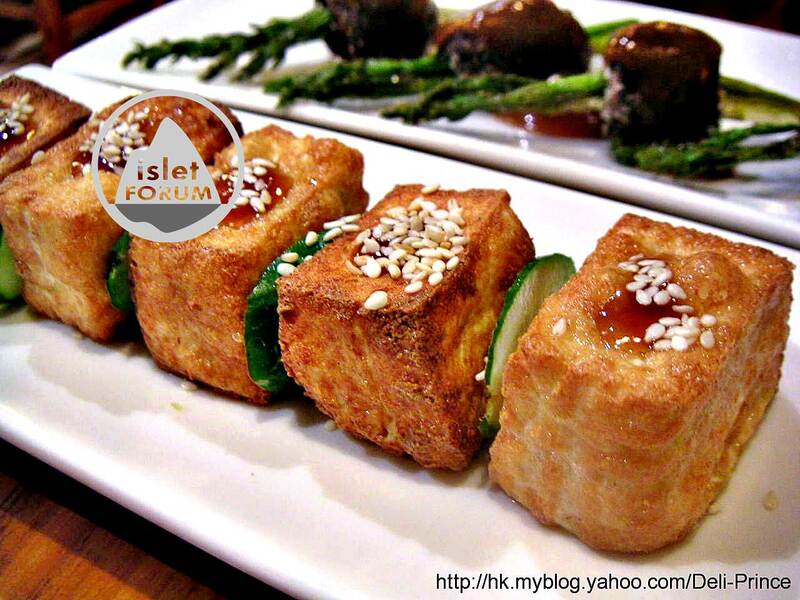 After finishing this tofu, we ask a waitress to introduce other dishes to us, she introduces this tofu to us at once. Of course, it is crisp on surface and soft inside. Asparagus w/ Beef Roll $28 does not have any flavor of beef. Vegetarian beef has a very similar beef texture. 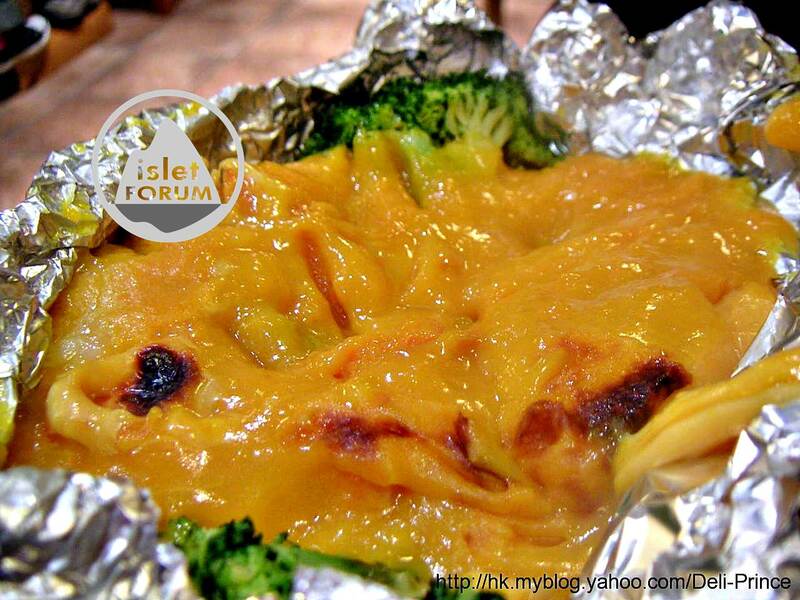 Baked Pumpkin w/ Cheese is placed in aluminium foil. This small dish is rich in starch and can have the function of rice. Remarks: This restaurant is very small, booking is a must. It has just started a branch in Mongkok. We are recommended to try Japanese vegetarian food in Ching Ting. It is succinctly decorated in Japanese Style, and gives us a comfortable feeling. Servers are nice. 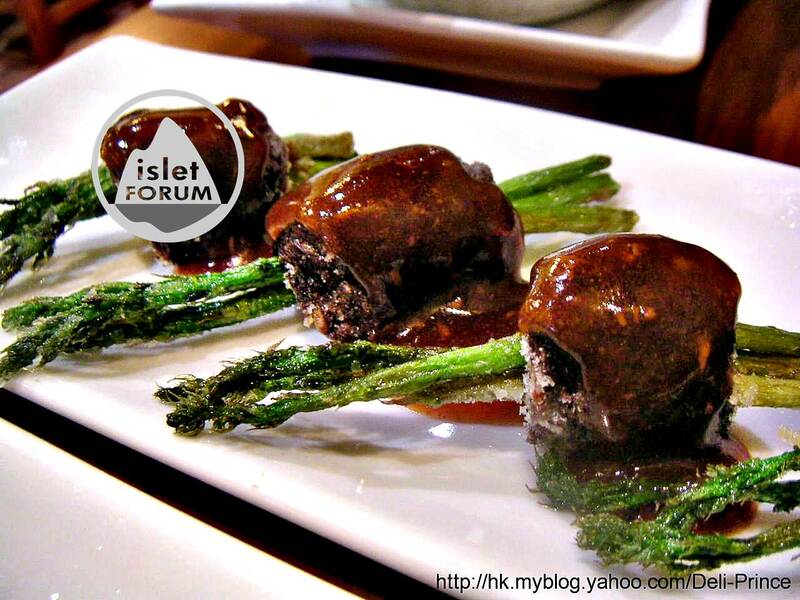 In our first impression, foods are not expensively priced. We order 4 dishes only, the bill is $112 (average per head $55). We are delighted to try completely Japanese style vegetarian foods in Hong Kong. It should be a new species in Hong Kong. 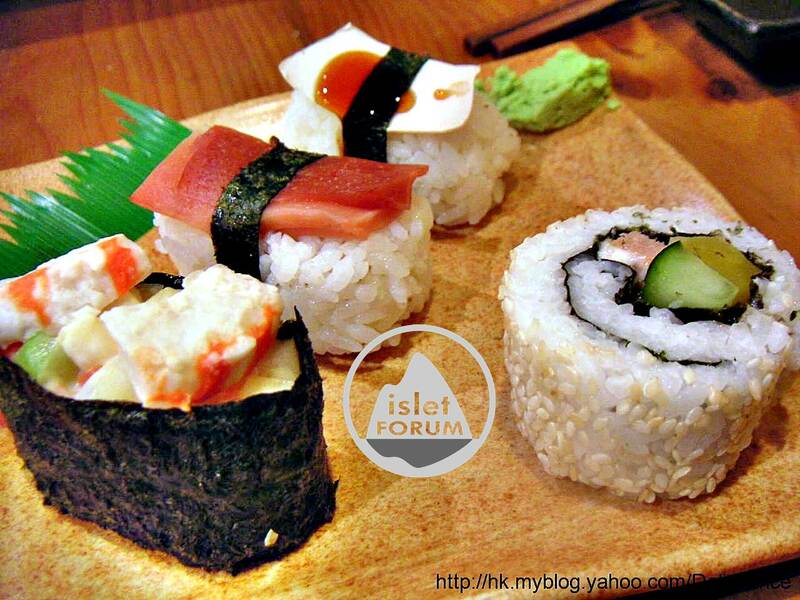 We have not tried the similar in Japan, we do not know whether the foods are really of Japanese origin or not. For clarification, we need miss-m to give us comments and leave messages. Anyway, Ching Ting should be a new place for vegetarians.